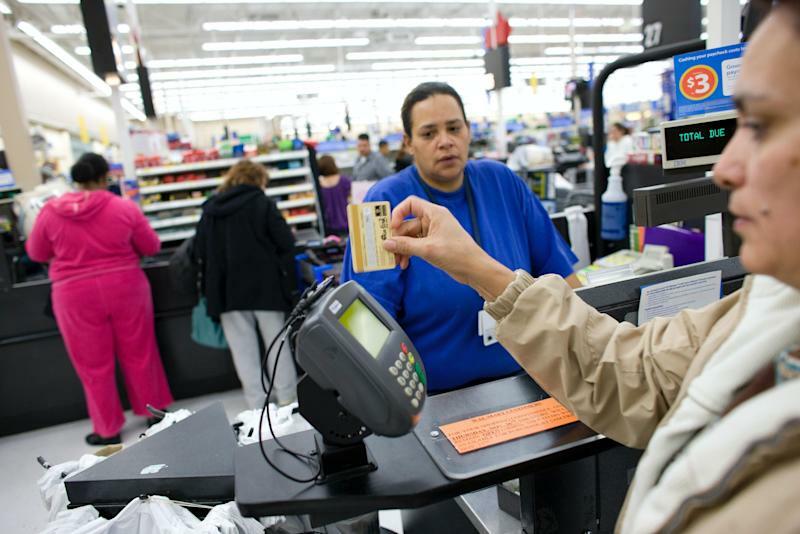 “The most shocking find to me was how many Americans carry credit card balances month to month,” Tommy O'Shaughnessy, an analyst at Clever Real Estate Analyst and the author of the report, told Yahoo Finance. “With the average 17.64% APR, that debt compounds quickly and can become unmanageable for lower income families,” O'Shaughnessy noted. 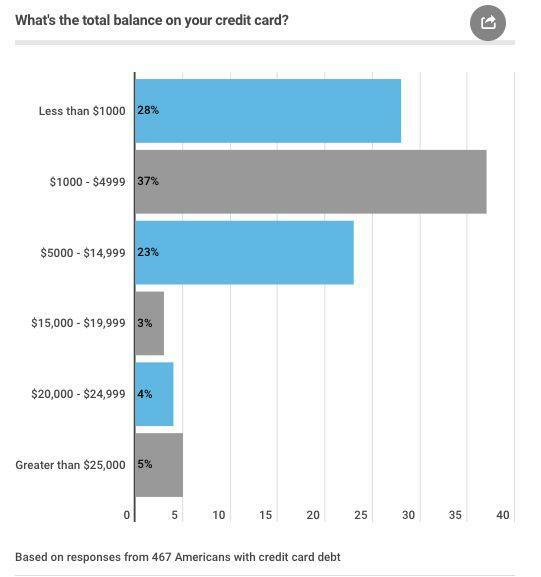 About 38% of respondents said that credit card debt has stopped them from making a big life purchase — which could include things like buying a home or a car. 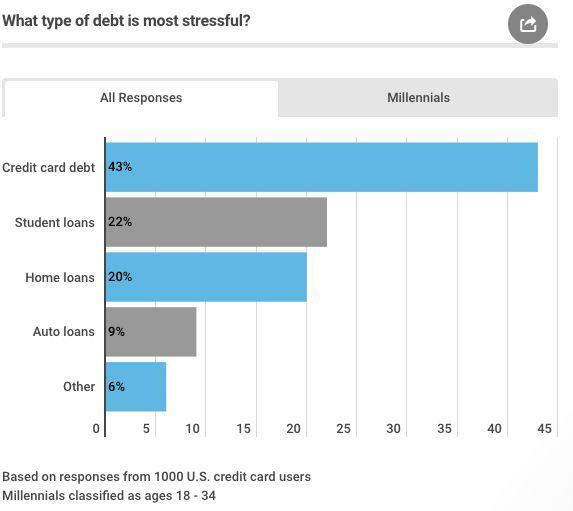 The survey also found that credit card debt “ranks as the most stressful debt” for Americans. About 28% of the borrowers had missed a monthly payment — the biggest reason being that they simply forgot. And 41% of respondents didn’t even know the interest rate on their card. Interestingly, 62% of younger credit card users between the ages of 18 and 34 were were found to have regularly paid off their credit cards each month — as compared to only 48% of older generations. And in the near future, consumers may soon find their credit score determined by big data — which could boost those with lower scores and stimulate further loan growth, according to a report by Moody’s. The report said that consumer loan underwriters could soon use big data to “identify lifetime events that create specific financial needs for existing clients, like marriages, births and first jobs (related to the need of vehicle or housing) to pre-approve loans. In any case, as consumer loan delinquencies and interest rate payments rise further, “the clock is ticking,” Deutsche Bank’s chief international economist Torsten Slok recently told Yahoo Finance.